My real deal tan HUGGER Soft Side Plate Carrier in the Eagle BALCS cut, commo keepers on both shoulders, D rings on both shoulders, with Low Vis MOLLE Chest Rig. Vel-Tye L.L.C. 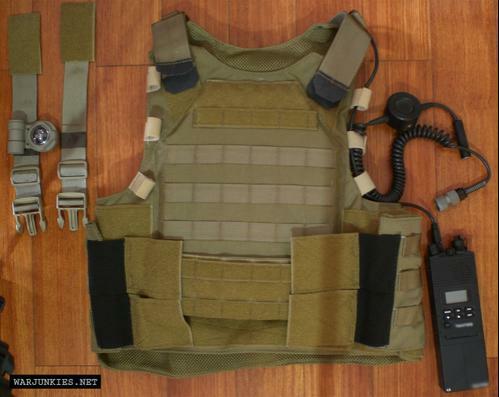 is the home of the Hugger Soft Side Plate Carrier. That is where the original Vel-Tye Hugger and Vel-Tye Low Vis MOLLE Chest Rig is hand made with pride in the United States of America. Each is made to order by hand in the U.S.A.
Also Harvey and Steve from Vel-Tye. You guys are great!